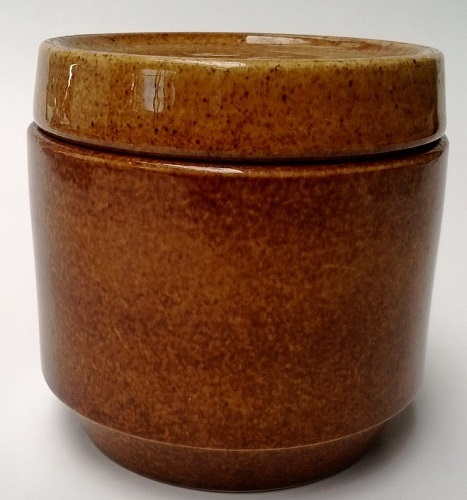 Not sure what to make of this, as I bought it as a lidded mustard pot, but it's the same size as the hotel ware sugars that stack upon each other. So I call this shape a sugar. 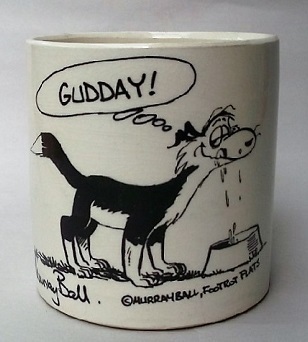 It has the Made In New Zealand stamp on the base. Then there is the lid ...... It fit's snugly on top of the sugar bowl, but the colour is a little lighter. Is this a lidded sugar bowl? Don't think that I've seen this shape before.....? hey, I have one of these with the lid as well, in plain white. I saw a little jug that goes with it and the jug appears to sit neatly on the top of the lid, so perhaps they were designed to be stacked. Vitreous ware so probably for hospitality? The jug has 6611 underneath, bowl just has made in NZ. Thanks Thelma, I think this glaze looks like Pioneer, but it feels vitrified even though there is no vitrified stamp on it. 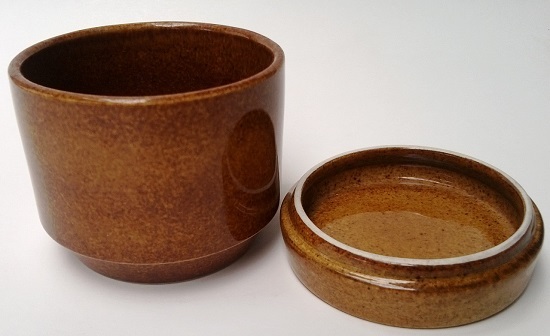 Actually it looks like the same glaze that is on a Cook & Serve soup bowl that I have. The 6611 is another shape that isn't in the records, but I found one that belongs to the Hotel Intercontinental the other day so I know exactly what you are talking about. So you are saying that this lid does go with this sugar. I will post a photo of the bowl, lid and jug when I can. The lid on mine is like yours, with the recessed bit that snugly holds the milk jug. showing the bowl, lid and jug. ah, darn, forgot to rotate the picture! Sorry! 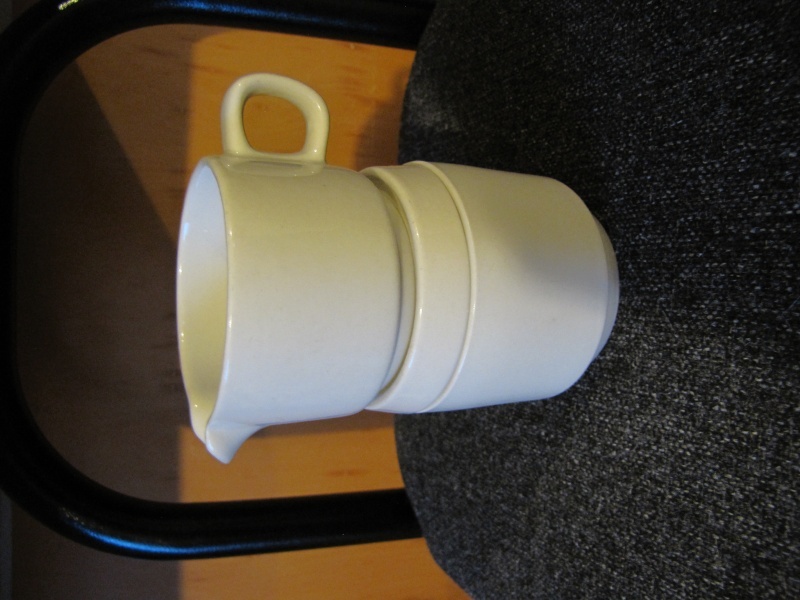 I have an idea that this is another piece of the hotel stacking ware and will check it out later. Yes this is definitely the Lidded Stacking Hotel Sugar! !